“We are so excited that the public will be able to purchase any type of ticket they want for the upcoming baseball season beginning Friday,” said Dutche Iannetti, team co-owner. 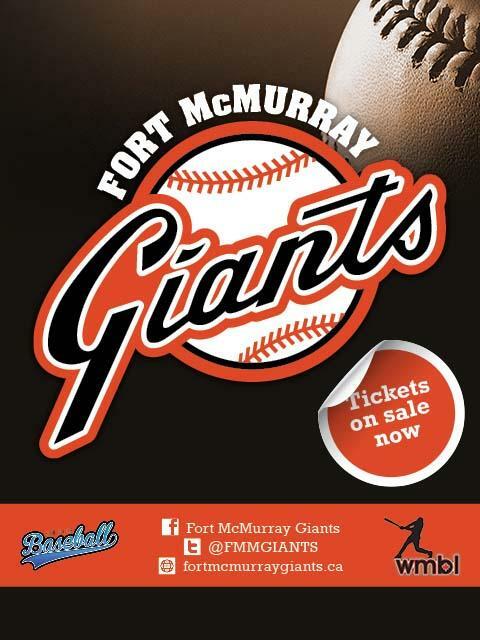 The Fort McMurray Giants are led by local businessman and baseball enthusiast, Dutche Iannetti, and joined by longtime baseball loyalists Steve Avila and Blair Kubicek, the Fort McMurray team will be the lead tenant at the recently opened Baseball Stadium at Shell Place. The first team coaches announced include head coach and team manager Ray McIntyre and pitching coach Kellen Camus. The entire roster will be announced in the spring of 2016. If you are interested in learning more about the Giants, please visit www.fortmcmurraygiants.ca.